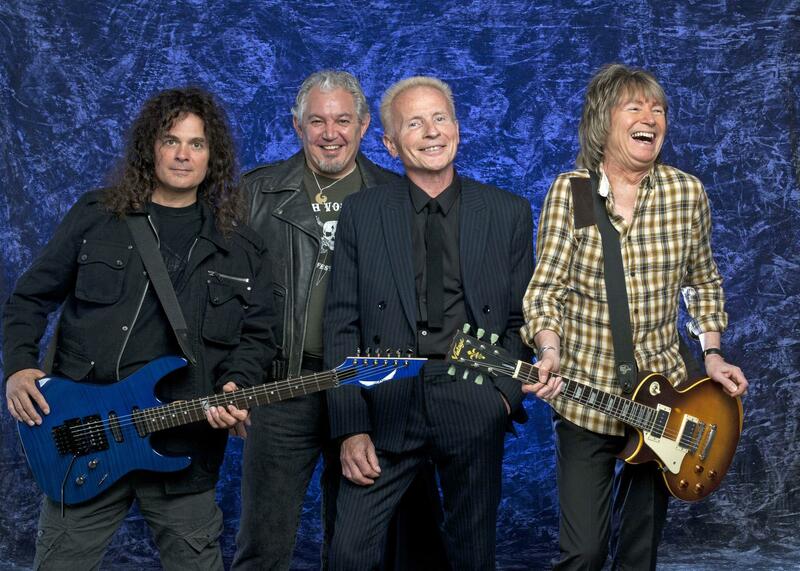 As British hard rock pioneers UFO prepare to bring their show to the Narrows Center for the Arts in Fall River, Mass., on Oct. 14, guitar hero Vinnie Moore took time out to chat with Paul Bielatowicz about his life-long love affair with music. Moore began playing in local bands and, a few years later, a major guitar magazine featured him as an up-and-coming star. It was this article that led to his first big break, “A production company in Los Angeles was casting for a Pepsi TV ad which featured a rock guitarist. They saw my write up in Guitar Player Magazine and gave me a call one January evening. The next morning I was on a plane to L.A. I went through the audition process and was chosen to do the music for 30 and 60 second versions of the commercial. It was just amazing for me, hearing my playing on national television a few times a day. The ad was a great kick starter for my career as it helped create a bit of a buzz before my first record came out.” The ‘buzz’ did the trick, and his debut solo album was a huge success – seemingly overnight, Vinnie Moore had arrived! With a career spanning 30 years and counting, Moore’s eyes remain fixed firmly on the future, aiming to, ”Continue doing what I love, keep being inspired and fascinated by music and keep playing for people.” With a new solo album in the pipeline, Moore’s hunger and love for his art continues to propel him forward on his musical journey, as he wows audiences worldwide. Louis St. August and Gene D’Itria of the Revere-based rock band MASS, who received considerable airplay on MTV and radio with their single “Do You Love Me” in the 1980s, will open the show with a rare acoustic set. The Narrows Center for the Arts is located at 16 Anawan Street. Tickets can be purchased online at www.narrowscenter.org, by calling 508-324-1926, or in person at the box office. Hours are Wednesday through Saturday, noon to 5 p.m. and during all shows.